Community. It’s the buzzword heard in many a church congregation or self-help group these days. And it seems like it shouldn’t be too hard to find. But with the infiltration of “virtual community” (thanks a lot, technology), the truth is it’s getting harder and harder to find the real thing. Those in the tiny town of Utopia, Texas, though, know it’s not as hard as it sounds. It’s just choosing to reach out, make a difference and walk through this life together. 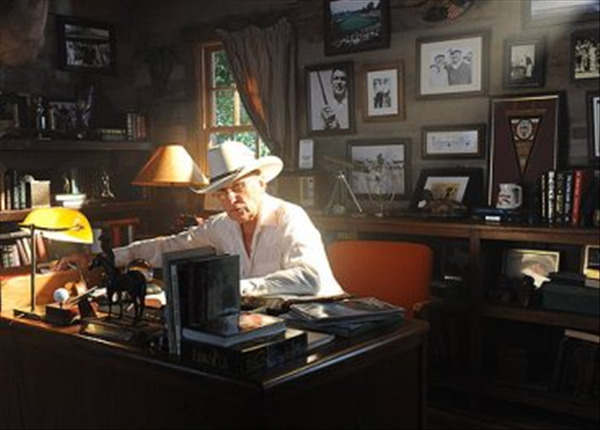 It’s a powerful theme that runs through Seven Days in Utopia, a new film releasing September 2, 2011 in select cities, that is based on the best-selling, inspirational novel, Golf’s Sacred Journey: Seven Days at the Links of Utopia, by top Peak Performance coach David L. Cook. First-time director and screenwriter Matthew Russell, who co-wrote the screenplay with Cook, found it an opportunity to explore something seen less often on-screen: the impact people can have in one another’s lives when they come together through mentoring relationships. Set in the real-life town of Utopia, Seven Days in Utopia tells the fictional story of an aspiring golfer who’s burned out in his game and has stormed off of the course in the middle of a tournament. After throwing his clubs in the trunk of his car, Luke Chisholm speeds off down the Texas back roads and eventually finds himself in Utopia. Literally. He doesn’t know it then, but he will find himself in just a week’s time after an initial meeting with an eccentric rancher who owns a tiny, dilapidated golf course in the middle of nowhere. Luke doesn’t realize it yet, but he’s hearing from a former golf professional . . . someone who understands the game, someone who’s experienced loss and someone who knows all too well the bumpy road that brought Luke to the crossroads he’s standing at today. So what does the young golfer have to lose? He’s at the end of himself, and he’s got a few days off from the golf tournament circuit. Carrying his baggage full of frustrations due to poor performance, a broken relationship with his father (who just happens to be Luke’s caddy and is living out his own golf dreams through his son) and the realization that he doesn’t know who he is anymore or what he wants out of life, Luke agrees to stay. An Academy Award winner and a veteran of over one hundred films, Duvall points to Marlon Brando in his own acting career as a mentor of sorts who influenced himself as well as other young actors of his generation. And he sees the value in anyone taking the time to reach out and help someone else. In a week’s time, Johnny guides Luke through a series of unorthodox exercises designed to help him see that becoming who you were meant to be has nothing to do with winning, and everything to do with how you approach the game. Just as authenticity is important to movie-going golfers and sports fans who may have been disappointed by golf films from years past (Tin Cup, etc. 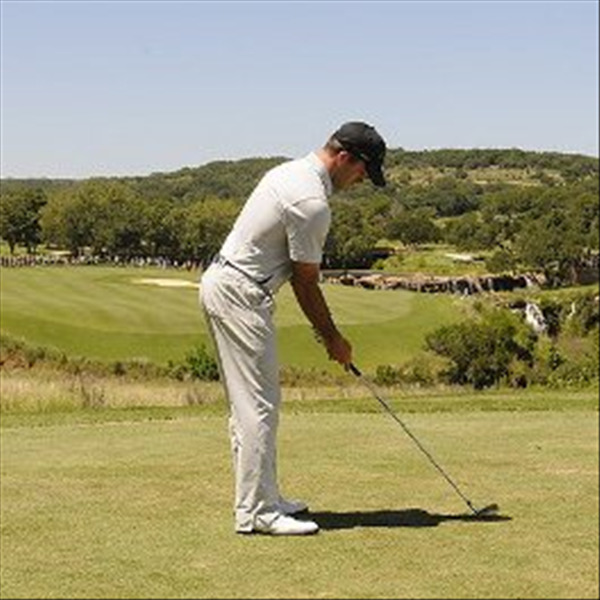 ), making the putt and making it believable was something of great importance to actor Lucas Black as well. The Alabama native and new father to a nine-week-old baby girl not only had to work alongside a legendary actor (again, as he and Duvall co-starred in Get Low), but also had to play the game with real skills as the down-and-out golfer. Said to be “probably the best golfer Hollywood has ever had in its midst,” Black is a scratch golfer who says he plays golf and competes in amateur tournaments when he’s not shooting a film. He also credits his golf coach, Rick Grayson from Springfield, Missouri, as someone who has been a mentor in his life when it comes to his game. Upping the authenticity level yet another notch is the community found in Seven Days in Utopia’s location and supporting cast. 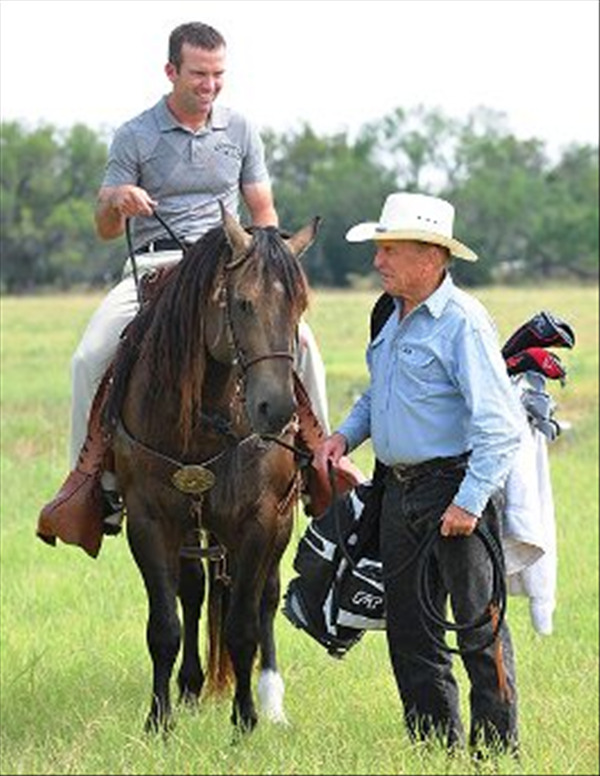 For the golf tournament scenes, the cast and crew traveled to Boot Ranch in Fredericksburg, Texas which was designed by PGA legend Hal Sutton. “Fredericksburg was probably the cleanest town in America,” remembers Duvall about the days spent filming in this Texas Hill Country locale. He also speaks highly of Utopia, where the film finished out the rest of its shoot. Besides Academy Award-winning actress Melissa Leo (The Fighter), Kathy Baker (the upcoming Machine Gun Preacher), Deborah Ann Woll (HBO’s True Blood) and Brian Geraghty (The Hurt Locker), the “wonderful cast” also included some special supporting members: several of golf’s most popular players whose credentials include winning major tournaments and who added greatly to the true-to-life action. Playing Luke’s golf rival on-screen is K.J. Choi (“Tae Kwon Oh” in the film), the most successful Asian golfer ever who has spent 40 weeks in the top ten of the world rankings and won the 2011 Players Championship. “The storyline immediately interested me,” he says. “It was lovely and powerful in its message which is strong if you play or do not play. For those not familiar with a birdie, a bogey or anything else golf related, Russell echoes Choi and assures the uninitiated that Seven Days in Utopia is not just a golf movie. “I kind of based the model off of one of my favorite films of all time which is Jerry Maguire,” he reveals. “I’m a huge football fan, and there are two things I would pull from that. It’s not really a football movie; it’s just the world that it takes place in. And I think that that’s one thing that I wanted to parallel with Utopia. Meanwhile back in Utopia, as the days of his week tick by, Luke begins to take stock of his life—apart from golf—as the community of Utopia (the café owner, the waitress, the innkeeper, the local cowboys and even the prickly rodeo champion) come together to walk alongside Luke on his journey to find himself and his game. As Johnny leads Luke deeper one day, “SFT” are the letters he writes on a golf ball during a lesson. Luke is encouraged to “see it, feel it, trust it” as he makes his shot. And later, SFT takes on even more meaning. In flashbacks, Luke relives times as a child when his father worked him hard, making him practice golf into the hours of the night. To the audience, it’s obvious Luke must make peace with his dad and find a way toward forgiveness before he can move forward in life—or even in his golf career. 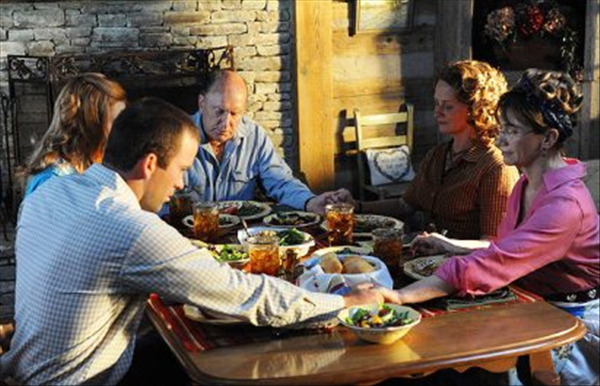 The last morning of Luke’s stay in Utopia, it is Easter Sunday no less. And the Christian symbolism is rich as he finds Johnny digging a small grave by a large tree. Inside the shallow pit is a wooden box. And there, Johnny says, Luke must bury the lies he has chosen to believe about himself and life. Johnny then encourages him to chisel his living epitaph for the grave and to consider how he will live the rest of his life. It’s not the end yet, though. 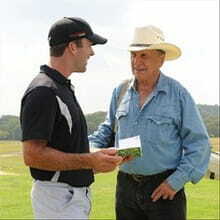 Thanks to a little networking, Johnny calls in a favor to a friend who secures a free exemption for Luke to play in an upcoming golf tournament. A grateful Luke is amazed at a chance to redeem himself and to try to get his game together. Looks like his time in Utopia has been well played. In the film’s final climactic scene, the tournament has reached its zenith and Luke has but one final putt to make in order to win the game. The crowd is cheering. Johnny is standing quietly on the sidelines with a knowing smile. And Luke’s future is on the line and in sight. So . . . did he make the putt? It’s the question that’s posed after the camera pans away before we can see what happens. The closing credits then begin to roll with Duvall’s voiceover: “Utopia is a place where the voice of truth resides and eternal trophies line the shelves.” Moviegoers are then directed, through visual, to www.didhemaketheputt.com to continue the journey. It’s a clever way to keep us invested and focused on the heart of the story. Adds Black, “You kind of really have to sit back and ask yourself, ‘Well, is it important?’ Is it really important that he made the putt? And that’s really just Utopia. People coming together—in community—helping those who are lost to find hope and what really matters in this life. 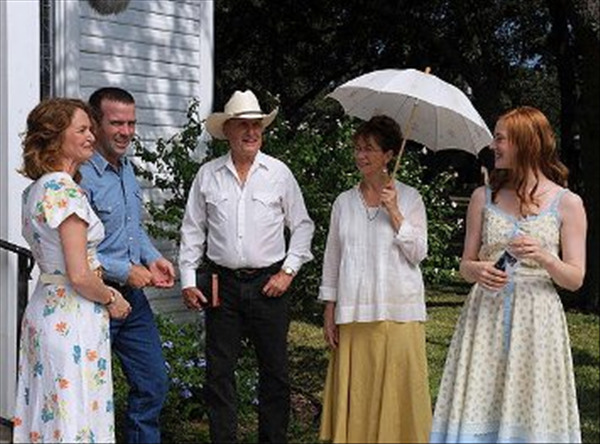 Rated G and presented by Visio Entertainment, Seven Days in Utopia releases in select cities on September 2, 2011 and stars Robert Duvall, Lucas Black, Melissa Leo, Deborah Ann Woll, Brian Geraghty, Kathy Baker and K.J. Choi. Click here for more information about Seven Days in Utopia. Photos courtesy of Visio Entertainment.